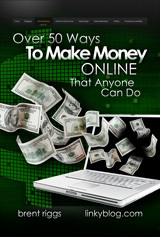 Over 50 Ways You Can Make Money Online: A reference list of 50+ ways you can make money online; followed with a detailed look at ten of the more popular options. As the Owner/Creator of Linky Tools , I have spent the year introducing people to LinkyTools and helping my existing users make the most of this traffic building tool. 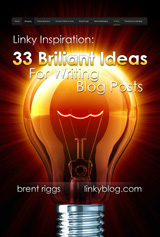 Linky Tools is a suite of content and linking tools for your blog. A “Linky List” is a list you insert in your blog post (a simple snippet of code) that allows your readers to enter a link on your list right on your blog. A Linky List might be a text link or an image link (thumbnail). Users have total control over their Linky List (when they appear, when people can enter, editing/deleting entries, etc. – there are many options you can control). If you don’t have an account, get your free trial account here. 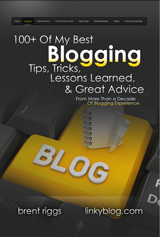 I also created Linky Followers which allows people to follow your blog and you can follow theirs. 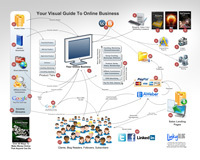 Options for this tool include the ability to view all your followers, visit their profile and their blog, view the blogs you follow, read follower posts, and mark your favorites for quick access and viewing. For 2014, I’ve already got some projects in the works to help you reach your financial goals through creating passive income through a blog or online business. I am putting the finishing touches on several eLearning Modules (online training workshops) filled with tips and advice on topics such as: blog design, website hosting, email lists and communication, writing ideas and tips, dealing with comments, advertising and affiliate links, perseverance, and personal growth. I’ve got a bunch of workshops at various production stages and look forward to sharing them with you in the next couple of months. So that’s a flashback of 2013 with LinkyBlog and a brief peek at what I am planning for 2014. Leave a comment and let us all know about some of your best stuff from 2013 and your plans for 2014.